This is the most popular question that most people ask themselves when they are thinking about purchasing a house. The problem is they are trying to time the market. I am not a fan of trying to time things because it really is just a guess on factors outside of your control. Instead, the question should be is it a good time for you? Either way, let’s look at the two biggest variables that impact the cost of a potential house purchase and what people think they can time. After the housing collapse in the financial crisis, house prices have reached all-time highs. The cost of the house has a dramatic impact on potential down payments and the principal amount of your mortgage loan. When those that are trying to time the market make their claim that the market is too expensive and they are going to wait for house prices to crash, it is the price of the house that they are talking about. One interesting aspect I discovered when researching the topic of historical house values, is that house values do not fall often and when they have it appears to only have been severe once. However, that one “big one” happened recently and so it is still fresh in everyone’s memory. This makes people think that dramatic falls in house values occur often. Although this graph displays relatively stable house values for the United States as a whole, some parts of the country have their own unique trends. Interest rates had been sitting at artificially low rates since the financial crisis but over the last two years, interest rates have finally started to rise. The interest rate has a pretty dramatic impact on not only your monthly payment but the total interest you pay over time. Additionally, having poor credit, could significantly increase your interest rate and impact what you can afford. Unlike house prices in the U.S., the 30-year mortgage interest rates have seen dramatic shifts. Outside of recessionary periods, there is not a clear correlation, but during recessionary periods rates seem to fall by the end of the recession in most scenarios. This is the most relevant question to ask when you are thinking about purchasing a house from a financial perspective. 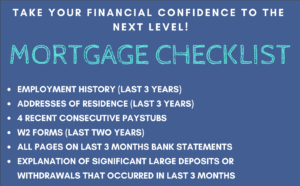 The bottom line is, if you can afford the house payments comfortably and have an emergency savings fully funded, then you are in a pretty decent position to buy a house. If the value of the house drops, you still can afford the payments. If the value goes up, you still can afford the payments. You essentially can remove yourself with the concern of what house values are hypothetically going to be. Your monthly payment is often more than just the principal and interest owed but also includes property tax, home insurance, and potentially mortgage insurance. Make sure the calculator you use includes those additional expenses. Although your home insurance and property tax may increase in the future, your principal and interest payment will always total to the same monthly amount if you have a fixed rate term and loan (more on that soon). As you make payments your principal balance decreases, which decreases the interest paid on future payments allowing more of your payment to go towards paying off your mortgage. There are many programs that you may be eligible for down payment assistance or low down payment. Be sure to do your homework to make sure you are comfortable with the mortgage you choose. Most mortgage lenders prefer 20% down payment in order to avoid mortgage insurance. If your loan has Primary Mortgage Insurance or PMI, you may be eligible to have it removed based on the terms of your loan (See: Do I Need a 20% Down Payment to Purchase a Home Strategy Guide). FHA loans now include the cost of insurance in with your loan and you typically can only remove this expense by refinancing to a new loan. You may be willing to cut back dramatically on a lot of your expenses to spend a major chunk of your income on your mortgage payment, but financial institutions establish their own limitations to what they feel you can handle. They will review your overall debt obligation in relation to your income. Oftentimes, the amount you are approved for is dramatically more than you should actually utilize. Most financial institutions prefer to see no more than 45% total debt to income ratio including the new mortgage. You find this number by dividing your gross monthly income by your total monthly debt payments. They further limit the amount they prefer to lend to 28% housing ratio, which is the monthly cost of your house including taxes and insurance divided by your income. The most common loan type that Americans use. The 30 years allows your monthly mortgage payment to be affordable and at a fixed rate so that your principal and interest payment are always the same amounts. This is a favorite loan type for those that are debt averse and want to force themselves to pay off their mortgage faster. A 15-year fixed mortgage saves a significant amount of money when compared to the 30-year. Up until recently, the last few years when rates were still at historic lows, there was not a significant difference in interest rates between 30-year and 15-year mortgages. This extremely small difference made it strategically valuable to consider taking the 30-year loan at a slightly higher rate but make payments as if you wanted to pay it off in 15 years. The nice thing about this strategy is that if financial goals or priorities shifted, you were not locked in with a large payment and have the flexibility to go back to the normal 30-year payment. If interest rates continue to rise and the difference in interest rates between the 30-year and 15-year terms grows wider, this strategy will become more costly and therefore tougher to swallow. ARM stands for Adjustable Rate Mortgages. These types of loans are regularly used to get a lower interest rate initially making your initial mortgage payments more affordable, but then are subject to possible increases in interest rates and future payments. The initial rate is locked in based on the ARM you choose. You usually can choose from the following option: 3/1, 5/1, 7/1, and 10/1. The shorter the initial lock, the lower the initial interest rate. This is also a popular loan type for those who do not expect to live in the same house past the expiration of their initial rate lock. As you can imagine there is a little bit of gambling to this approach. A big indicator of how much your house is going to cost and thus what you can afford is what you “need” or expect in a house. Did you notice I put quotations on need? It is really easy to confuse wants with needs. A need is something that is required for survival and safety. A want is everything else. The impact of your other goals that play into your financial life can have a dramatic effect on whether you should purchase a house or how much you should spend. Essentially every dollar you spend towards paying your mortgage for your new house is a dollar that cannot be applied elsewhere. Does this mean you need to buy used instead of new vehicles? Does this mean that you are delaying retirement by 10 years? Does this mean that you need to do stay-cations instead of international travel? Prioritizing your goals, especially if you have a significant other, is a great way to have clarity on where a house purchase falls in the pecking order and may help you adjust either on the other goals or the things that you “need” in your new house. Another one of those debates that are as old as time. This really comes down to your unique situation, but I will outline the pros and cons of each. As you can see, there is a lot more to consider than whether the house values are going to decrease. 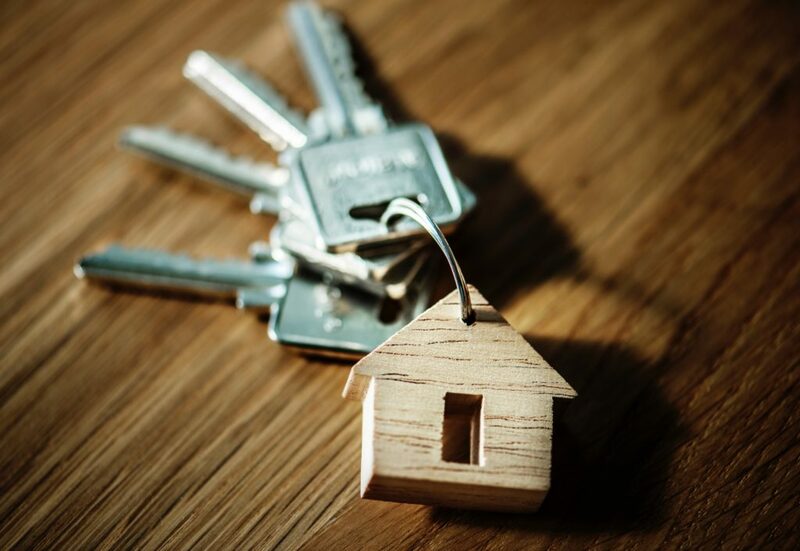 Purchasing a house is a big decision and requires you to take the time you need to sort through the validity of whether purchasing a house now is the right choice for you today and where you hope to be in the future. Do not let someone else’s thoughts on home ownership impact your decision because they are not the ones who are going to have to live with the decision. I help my clients understand not only the impact of major financial decisions, but collaborate with them to set goals and build custom strategy guides for them to achieve them. Life is easier with a strategy guide!